Frédéric Perrier has a more than 20-year history as a chef and restaurateur in the Houston area. He built his reputation at 5115 Grille and Perrier Café before deciding to keep his work closer to home. 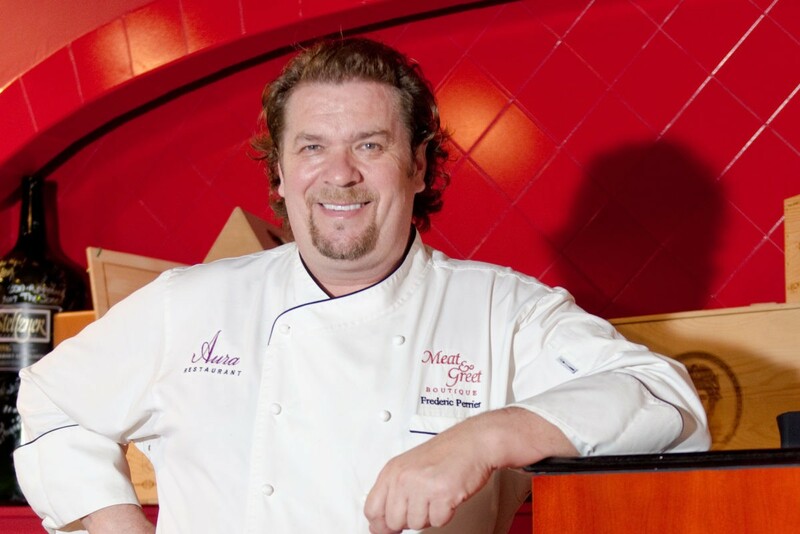 In 2007, he established French restaurant Aura in a quaint, New England-style shopping center in Missouri City. There, it exuded charm until he relocated it to Sugar Land Town Square in 2012. Now, the chef and his wife, Michelle, have announced that they are selling Aura, effective January 3, 2017. The email also states that the Perriers are definitely not out of the food business, though. They will remain involved with casual concept Hoggs & Chicks and Live Oak Grill in Sugar Land. Additionally, they are starting a yet-to-be-named catering company. Previously, the Perriers sold Coco Pazzo, the Italian concept that he’d started in Aura’s former location. It’s now the home of Brandani’s Restaurant & Wine Bar. We’ve requested additional information on the sale of Aura and the Perriers’ future plans and will update this article if we get more details.